We don’t have that many stockists of Island Drives on Tenerife so you’d think that getting round them would be a fairly easy affair. But there are some stockists that we struggle to get to even once a year and there are a couple of reasons why that is. Living in the north of Tenerife, we try to maximise effectiveness of our journeys south and so usually combine trips to stockists with other business. So our usual routine is to leave Puerto de la Cruz early to drive south where we have one or two meetings and then onto the west and back via Icod de los Vinos. The trouble with this pattern is that we invariably arrive in the west of the island mid-afternoon and so Kiko’s in Alcalá is always closed for the siesta and we don’t want to wait until he re-opens at 4.30pm as it’s just ‘dead’ time and we still have more stops to make. So spending a night in Pearly Grey last week gave us the perfect opportunity to pop into Kiko’s the next day. Kiko’s is a great place; it reminds me of Arkwright’s store in ‘Open All Hours’. He sells absolutely everything and it’s all over the place. There appears to be no planning or order whatsoever yet Kiko can go straight to whatever you need without stuttering and he’ll be grinning and joking with you while he does. 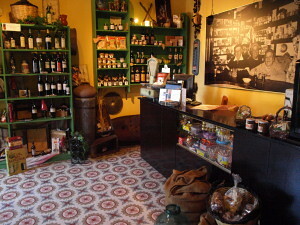 It’s a really nice store – a part of the Alcalá community. 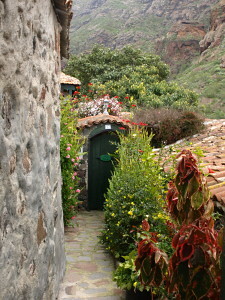 The second stockist we rarely get to for fairly obvious reasons, is La Fuente in Masca. The first time we went to him with Island Drives he was amazed that we were there and told us distributors won’t deal with him ‘cos he’s just too remote to justify a trip. Again, he’s a really pleasant man and it’s great having our books with him; I love the fact that you can travel to one of the remotest villages on Tenerife and you’ll find Real Tenerife Island Drives on the shelf! 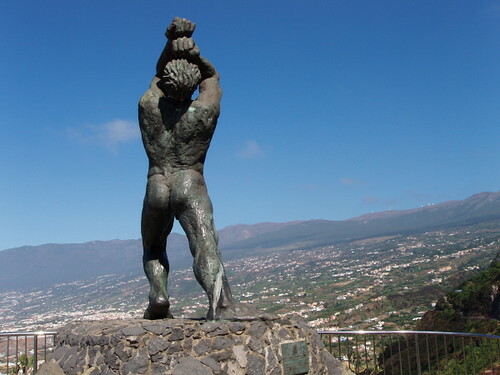 So when we left Kiko’s on Wednesday, we took a detour from Santiago del Teide into Masca. It’s a year since we were last there and we were amazed to see how much the undergrowth has come back in that year after the fires of 2007. 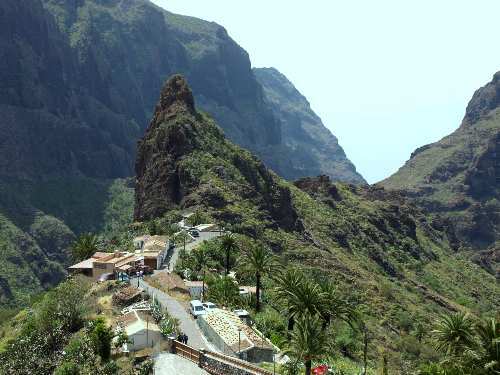 The valley is once again looking lush and fertile; the Masca Barranco looked almost irresistibly inviting for a hike to the beach and life in the hamlet seems to be getting back to normal. Our friend Sue was at her usual jewellery stand in the plaza, weaving leather straps into an intricate wrist band. Sue and Colin are two of only four (I think it’s only four now) Brits living in Masca and their home was destroyed in the fires in 2007. But their new home is now complete – well, there isn’t any electricity yet but hey, it’s only been 3 years – and they’re happily ensconced. Sue sits patiently in the plaza most days creating her beautiful jewellery and loves a chat with visitors. 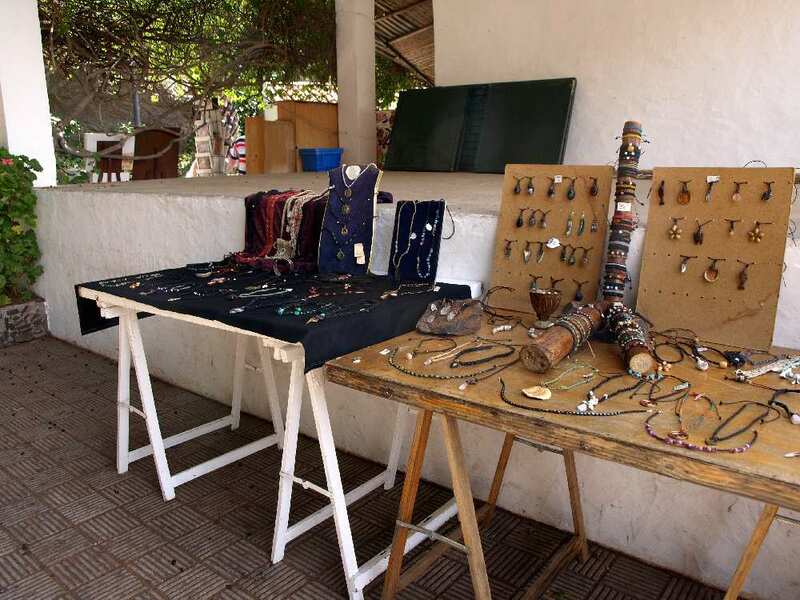 So if you’re hiring a car and planning a trip to Masca – pop into La Fuente for some of their fabulous cake and their homemade cactus lemonade and then wander over to Sue’s stall, say “hi” from Andy & Jack from Puerto and buy some beautiful, handmade jewellery as souvenirs. Tenerife – it’s full of gems. Thinking of Moving to Tenerife? It seems that, despite the economic gloom and the pound’s freefall, 3 million Brits will still be escaping the cold and heading overseas for some sadly missed sunshine this Christmas. 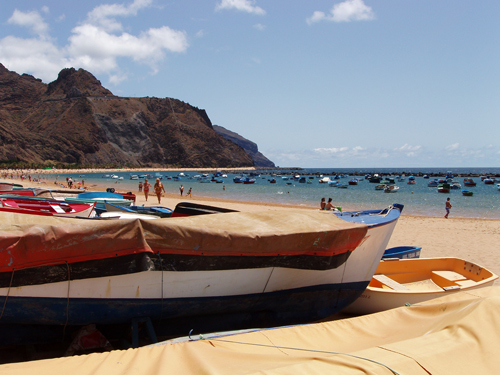 As always, according to ABTA, Tenerife will be one of the most popular destinations for them. Unfortunately, as Secret Tenerife reports, Tenerife has just had its coldest autumn for 15 years and is about to have its coldest winter in years too. Of course, it’s all a matter of what you’re used to. When the thermometer drops below 22°C here, all the locals and ex pats don their woolly sweaters, socks and boots and look askance at the visitors in their shorts and T shirts. The visitors in turn, think the locals are ‘loco’. But one thing that makes more of a difference than anything is the appearance, or not, of the sun and for the past month or so, Tenerife has been decidedly low on its usual quota of sunshine. After the appalling summer in Britain this year, your heart has to go out to people who have recently come to Tenerife in search of R&R with a tan and are finding as many cloudy days as sunny ones. It’s a perennial worry for holiday makers and one which pre-occupies them in the run up to their one or two hard earned weeks. But for those of us who live here, short spells of bad weather are never a problem, we know the sun will be back and we’ll still be here to see it when it does, a fact that brought many of us to Tenerife in the first place. Firstly, you’ll need a copy of ‘Tenerife Lifeline’. This book tells you all you need to know about creating a home, working, taxes, health, education, the law and government. I only wish it had been available when we were planning our move out here, it would have made life very much easier. Secondly, you’ll need a reliable Estate Agent, one who can offer advice and information as well as a portfolio of properties. Horizon Property Group is the largest independent estate agent in the Canary Islands and will hand-hold you through the whole process. 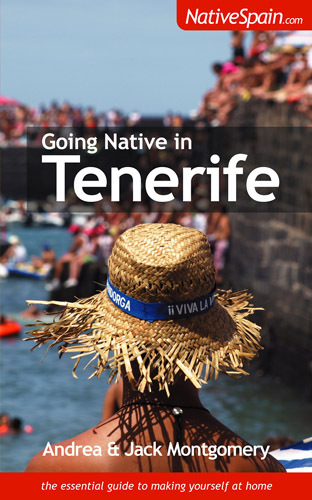 Thirdly, you’ll need ‘Going Native in Tenerife ’ to give you the full low down on all the main towns and villages on the island, the culture, the fiestas, the food, the shopping and tales from other ex-pats of their Tenerife experiences. Canary Green – how green is our island? 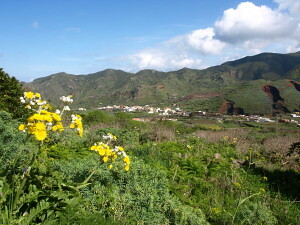 and of course Real Tenerife Island Drives which takes you away from the usual resorts and shows you the ‘real’ Tenerife. Here’s to 2009 and your new life in the sun!